Today only, subscribe to Weight Watchers Magazine for only $4.49 per year. Just use the coupon code CHEAPSKATE at checkout before 11:59 p.m. EST on Thursday, May 30, 2013, to save 67% off regular price. You can subscribe for up to four years at this price! I’ve had a subscription to Weight Watchers Magazine for a couple of years now, and I love all of the recipe ideas, exercise tips and inspirational stories in every issue. 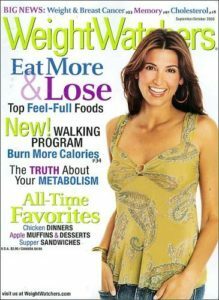 Even when I haven’t been “on program,” I have found this magazine to be a useful resource for keeping the pounds off. And when you can get 6 issues of this magazine for less than the cost of one without any worries about your subscription automatically renewing, you can make sure wallet stays fat while you get thin!